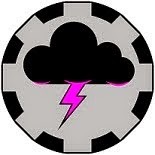 Dark Cloud Blogs: Go Go Power Ranger Fun!/Happy All Hollow's Eve! My partner is a big fan of the blog The Bloggess and not surprisingly because of it I get to hear about it. I got tired of hearing about it so I have started reading it because there is some good stuff there. Frankly, The Bloggess, aka Jenny Lawson, has chosen to live by a philosophy I can agree with and get behind. I could explain it but why when I have a video for it here. Go watch it, I will wait. All done? Good, I just finished my sandwich. In the spirit of Halloween and being silly for the sake of myself and others I chose to go in 'costume'. By costume I mean a t-shirt with a costume print and the chosen one was The Red Power Ranger from the original series. 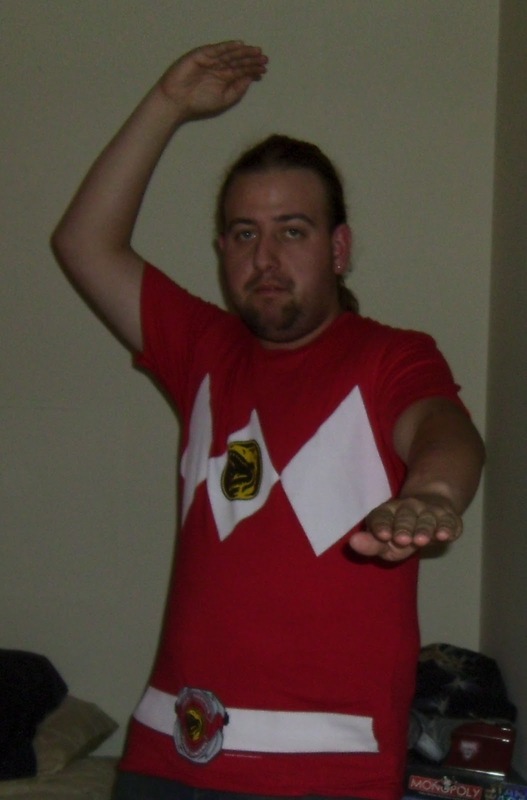 Me wearing said Red Power Ranger T-Shirt. I got some laughs (with me and at me), smiles and groans. Nothing unexpected but it all worth while by the smiles and the laughs, making someone else's life and myself brighter. Sometimes you just have to take yourself and life less seriously.